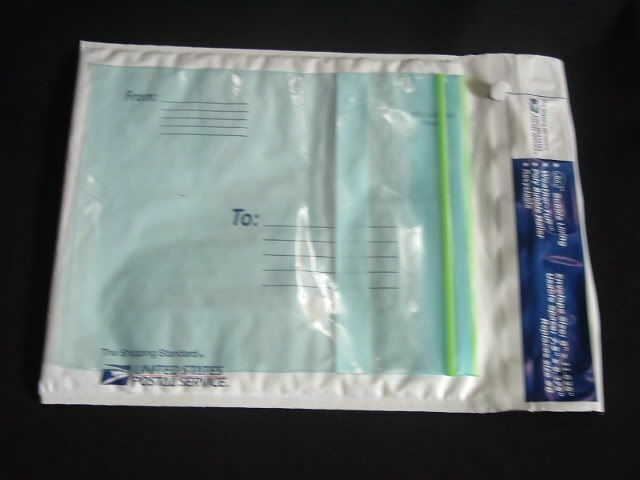 During my last campout I tested the plastic mailers made for the United States Postal Service. They are of the bubble wrap type, moisture and water resistant and are ultra strong. Envelpoe size is 8" X 11.625". Usable size is 7.5" X 9.375". The weight of one mailer is 13 grams, just a tad under 1/2 ounce. They easily hold a 1 quart freezer bag filled with 2 cups water and 1 serving of Ramen Noodles. Easlily wiped off if they get food or water on them(inside or outside). Why use a cloth cozy? They are liteweight coming in at 13 grams. I purchased mine at k-mart on sale for .75 cents. When I prepare Ramen I do the "Half Method". Half the amount of water and half the amount of seasoning from packet. My system says less water before retiring for the evening. Less water, fewer potty breaks. One cup of water is plenty to rehydrate the noodles.